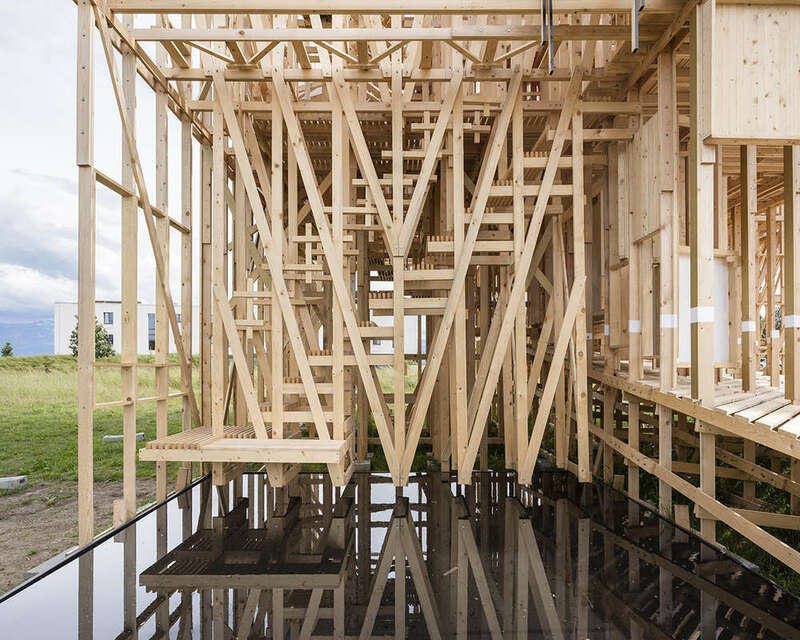 HOUSE 1 is a pedagogical installation that comprises 12 studio projects built in full scale. 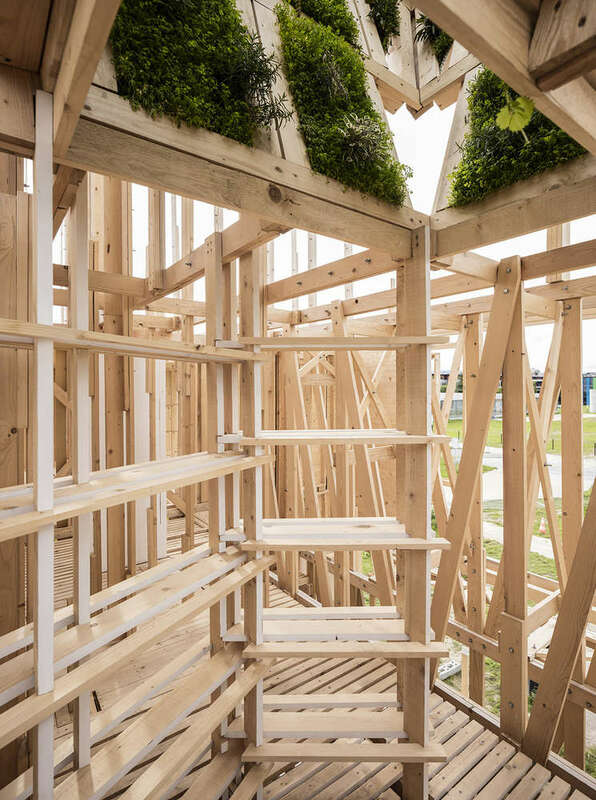 Built first as protostructure – a 11m x 11m x 11m balloon-frame timber construct holding the genetic code for the future projects – HOUSE 1 is an experimental format for collaborative design and construction in architectural education. As a physical manifestation of a conceptual framework the protostructure federates principles of organizing space and its construction. 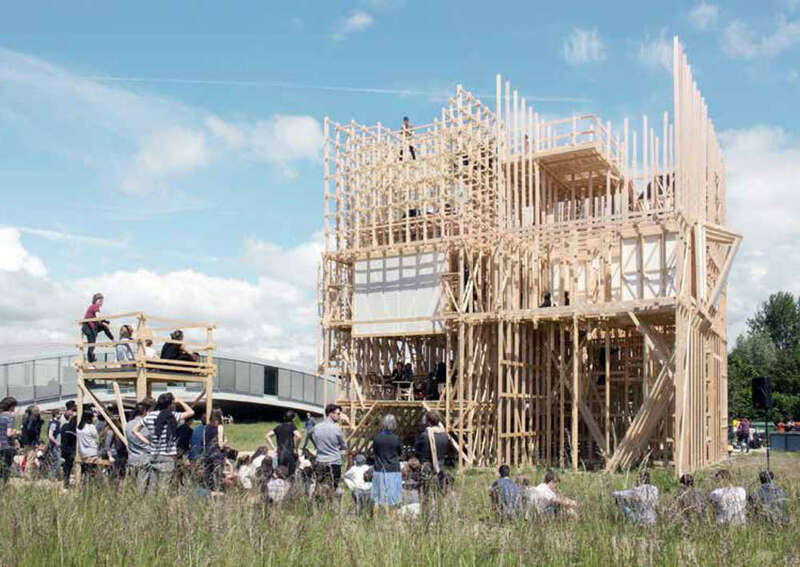 Over 200 students have designed and participated in a process of negotiating space, culture, idea, and the building of ONE HOUSE that still manifests the diversity of the 12 studio projects that have been articulated in groups of about 20 people. Each studio project consists of a project for a ROOM – a space that accommodates INHABITATION, or a TRANSITIONAL SPACE – porch, stairs, doorway or the like – that provides for CONNECTIVITY. Boundaries between projects are zones of negotiation and often naturally blurred. Accordingly each project is strongly contextualized by the others and enters into multilayered dialogical discourse with its surroundings. 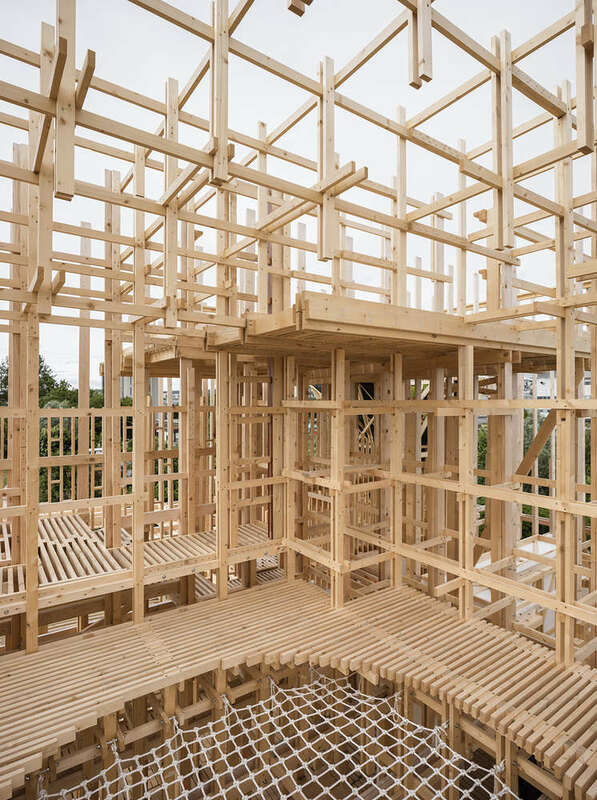 The spatial experience of HOUSE 1 is therefore not that of a homogenous architecture but rather that of an unfolding evolution of a space in question, often still hovering in potentialities, and open for interpretation.